Subtraction Capital was featured in a VatorNews article: "What would it mean if Amazon expanded into pharma"
Subtraction Capital was featured in a VatorNews article: "Video:Multisensor Diagnostics - Vator Splash Health 2017"
Subtraction Capital was featured in a VatorNews article: "Video: Amicomed - Vator Splash Health 2017"
Subtraction Capital was featured in a VatorNews article: "Presenting the finalists for Vator Splash Health!" Subtraction Capital was featured in a VatorNews article: "Video: Surviving an evolving venture biz at Splash Spring"
Subtraction Capital was featured in a VatorNews article: "How is the market affecting investing? Splash VCs weigh in"
Subtraction Capital was featured in a VatorNews article: "Fear and loathing in Silicon Valley?" 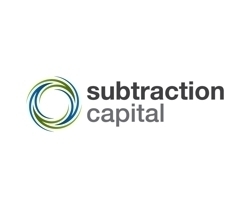 Subtraction Capital was featured in a VatorNews article: "Pokitdok, Box, Validic, Human API: New data on health"
Subtraction Capital was featured in a VatorNews article: "Meet Paul Willard, General Partner at Subtraction Capital"